Savvy Canadians are always looking for an effective way to beat the investment odds. Fighting to outdo inflation and currency devaluation is an area where they can improve their returns. Here we look at eight different investments that do well in both currency devaluation and inflationary environments. 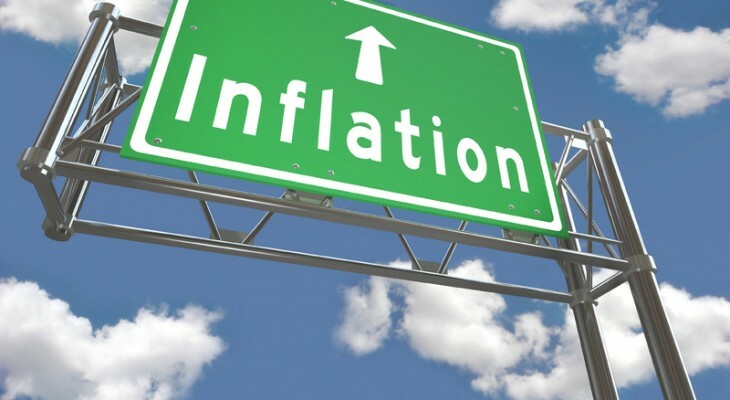 For those Canadians who like the safety and security of U.S. government Treasuries and who still wish to be inflation hedged, the answer lies in TIPS. This acronym stands for Treasury Inflation Protected Securities. These instruments are specially indexed to the U.S. CPI inflation index to safeguard investors from inflation. These investments outperformed inflation in fully 80 percent of cases. It makes them the top performer in the inflation-protected category of investments. There are three different ETFs that allow you to participate in this asset class. The first two track Barclays U.S. Treasury Inflation Protected Securities Index. The final one tracks the iBoxx Three Year Target Duration TIPS Index. Canadian investors also have their own homegrown Treasuries investment choice. The Canadian government issues its inflation indexed Treasuries, which they call RRBs Real Return Bonds. Analogous to U.S. Treasury TIPS, they are standard issued in Canadian denominated dollars of course. Exchange Traded Funds are an increasingly popular investment vehicle as a means of participating in diverse and complex sectors. They boast high liquidity, low buy-in and selling fees, and instant diversification. For investors who have become accustomed to this easy form of investing and divesting of assets, gold and silver do not disappoint their legions of fans. Not all of these ETFs are identical by any means though. The ones you want to consider are those that actually invest in real and tangible, physical bullion gold. Ones to avoid are those buying baskets of gold and silver mining company stocks. These act more like stock collections than commodities ETFs because of a range of factors that get introduced into the mix. Some of these are financial statements, mine output, strikes, electricity shortages, and other physical and financial complications and issues. These can all create a vastly different outcome than simple holdings of physical gold and silver. Best performing in class ETFs follow gold prices directly because they only purchase and hold bullion. There are two highly respected and near-perfectly correlating ETFs for gold and silver prices. These are the original SPDR Gold Trust ETF (that goes by the symbol of GLD) and the internationally preferred ETF iShares Gold Trust (that trades under the acronym of IAU). Neither of these two ETFs meddle in futures and options or derivative contracts on precious metals. Instead they only buy straight gold and silver bullion bars from London-approved fabricators. This is how they successfully imitate the price movements of gold and silver year in and year out. Their risk to return ratios are almost identical to underlying gold and silver too. Ten year average betas on GLD are .47 while the same measurement on IAU is .49. Surprisingly for many Canadian investors, gold only beats the inflation monster in 54 percent of cases. This does not adequately explain how well it does when inflation and currency evaluation become runaway trains. In eras of hyperinflation and crazy currency devaluation, gold and silver bullion massively outperform inflation. They also hold their values so well over the millennia that you can take the two precious metals literally to the bank. Safely owning gold without any counter-party risk involves getting it in pure bullion form. It is critical to have a tight rein on your storage and trading costs for physical gold and silver bullion though. This is why analysts will recommend staying with the most popular and liquid forms of the precious metals bullion. It means that you should stick with Canadian Maple Leafs, American Eagles, British Britannia, and Vienna Philharmonics. These are all beloved across the globe and easy to sell around the world. They all include competitive discounts and premiums below and above spot bullion prices. The easiest, safest, and smartest way to invest in bullion in a tax-advantaged way is through a Gold IRA. It is most important to work with a trustworthy Gold RRSP provider. There are a few of these from which you can choose in Canada these days. Commodities are an important bell weather in inflation indices. This is part of the reason they are an ideal means of protecting from inflation. Few assets get better results from rising inflation than commodities do. Commodities Futures exchanges provide the marketplace for auctioning and clearing such commodities, which also yields consistent and continuous supply and demand information for investors. These commodities have outperformed inflation in a sound 66 percent of scenarios. You should know that investing in commodities involves high volatility, perhaps the most volatility of the major asset classes. Yet commodities do deliver superior returns in high inflation and currency devaluation environments. The trade off for this is a greater amount of risk (in terms of standard deviation) than stocks possess. By including such commodities in a model portfolio that boasts less volatility, the total volatility can be made to balance out effectively. In such a way, you can lower the total portfolio risk negative correlation all the while increasing forecast returns. Commodities investing takes serious research, background knowledge, and expertise. Technically, only sophisticated, accredited investors are supposed to even trade them. Mutual funds were created at least in part as a means for investors being able to access commodities safely. Today there are also natural resources funds that buy commodities mining and production companies. Raw commodities funds are still another option, though they more frequently buy derivatives that are based on commodities along with fixed income investments. It is critical to ensure your portfolio is not simply purchasing mutual funds full of companies producing resources. Otherwise you are only buying stocks again, and not obtaining true equity diversification. Two recommendations in this category are the Oppenheimer Real Assets Funds which follows the GSCI commodities index and the PIMCO Commodity Real Return Strategy Fund. A third good option is the iShares S&P GSCI Commodity Index Trust. U.S. markets are eagerly anticipating the launch of several new ETFs utilizing commodities indices for their underlying investments. Bonds are another unlikely and interesting choice for beating the inflation genie. In an incredible 75 percent of relevant cases, the Barclays Aggregate Bond Index has beaten the inflation index. You are able to approximate the returns on this index by purchasing shares in the iShares Core U.S. Aggregate Bond ETF and two other ETFs. Cryptocurrencies are an asset class that is only 10 years old. Yet Bitcoin the leading asset in this digital assets class has rapidly developed into an 800 pound gorilla. This money on a computer screen can not be devalued by central banks, as it is not controlled or issued by any central bank. It allows you to retain purchasing power and to sell the digital assets in a significant variety of currencies around the globe, such as the U.S. Dollar, Canadian Dollar, Japanese yen, British pound sterling, euro, Swiss franc, and more. For those investors living in jurisdictions which struggle with out of control inflation, they are a veritable godsend. People in Argentina and Venezuela have been able to stem the blood letting from their crashing native currencies by converting their hard-earned cash into Bitcoin and Ethereum. Other nations with capital controls to prevent the outflow of domestic capital have been unable to completely stop their citizens from obtaining cryptos to get their money out of the financial system in countries ranging from North Korea to South Africa. Cryptocurrencies are so popular precisely because they are available to purchase, exchange, and transfer fully 24 hours every day of the week across practically all international borders. Cyprus and Greece are two recent European first-world case studies for why cryptocurrencies make so much sense. Both countries instituted capital controls on their own banks’ ATM machines back in 2013 and 2015. In Cyprus, a person could not draw over 100 euros in a day while in Greece the limit was a stricter 60 euros per day. It did not matter how much money you had in the bank, you could not access it or transfer it away. Thanks to cryptocurrencies, this is no longer the case for citizens in countries that rapidly fall apart. The investors can safely and secretively move their money away from the veritable economic and financial prisons. It allows poor farmers in Cuba and factory workers in North Korea or Iran to escape the limitations imposed on them economically by governments desperate to prevent capital outflows. Real Estate investments allow you to hold stakes in commercial properties. These unique investments are hard assets especially well-suited to matching inflation while providing an income from their property rents. These income checks often come every month in the form of dividends paid out to investors. It helps to explain why Real Estate investments remain so very popular with inflation fighting investors. Both Real Estate investment trusts and Real Estate equity outperform inflation inform 69 to 71 percent of scenarios. It is not difficult to obtain such diversified investments anymore. You can buy into them and have low expense ratios by purchasing shares in the Vanguard REIT ETF. Another option from a mortgage side of the Real Estate business is buying shares in the Market Vectors Mortgage REIT Income ETF. The vehicle for getting involved in leveraged loans (in both a safe and liquid manner) is to purchase shares in the PowerShares Senior Loan ETF. Canadians have many choices for pursuing investments that outdo inflation and currency devaluation. The real challenge is to pick the one or several that are best-suited for an investor’s goals and objectives in trading and investing. Some investors may naturally favor bond investments like the TIPS and Barclays Aggregate Bond Index, while others will prefer commodities and gold or silver bullion or ETFs.